Dental Hygiene is an important preventive care treatment also known as scaling. Any plaque and tartar build up can negatively impact the gum and result in much more serious and advanced problems with your gums and teeth. Dental hygiene also forms part of treating gum disease and bad breath. If you have a bridge, denture, orthodontic treatment or any cosmetic treatment such dental implant, veneers etc. you will have specific hygiene needs that the hygienist will be able to assist you with. A complete hygiene treatment includes Airflow polish. The Airflow Polish effectively removes stains on the front and at the back of the teeth. 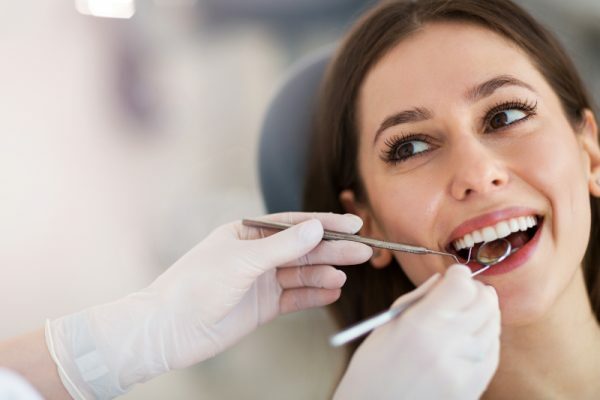 The hygienist uses a fine jet of compressed air, water and fine powder particles to remove staining caused by coffee, tea, red wine, tobacco and some mouthwashes. The complete hygiene treatment is non-invasive and pain-free. The treatment duration can vary. On average, a complete hygiene treatment is done within 30-45 minutes. Our hygienist specialises in hygiene treatments only providing patients with excellent care and professionalism. An important aspect of the hygienist's role is to show you how to look after your teeth so they remain free from plaque. You will be advised on the best brushing technique and you will be given tips on flossing. Our patients also enjoy complimentary rates and follow up appointments as part of their membership plan that includes at least 2 hygiene visits per year.